Linking up with the BIS blog today on discernment. I’ve reflected a lot lately on the idea of discernment—in particular, how it relates to someone who is single and thus not yet committed to a vocation. Sometimes it seems like our mission and purpose in life will come only once we respond to a vocation, but in reality the mission field is ever before us, in each small decision we make each day, in every person we meet and difficulty we endure. Through accepting each day as it comes and understanding that God is calling us to be present right where we are, we will allow Him to gently lead us to find our overarching calling. But we don’t have to wait until then to start serving; our mission has already begun. Mission flows from vocation, and vocation flows from identity. A nun’s vocation is religious life, and through discernment she determines where her particular mission is, in which order she will serve. A woman whose vocation is marriage will discern whom she will marry, and her mission will be in the life she builds with her husband. I think this general idea applies to other things in our lives as well: someone who is a gifted musician might have a vocation to play music, and through discernment they will find the particular group and setting in which they can use their gifts. In this sense, discernment involves two things: recognizing the gifts that we’ve been given, and looking for practical opportunities to use them in service of God and others. Blessed Pier Giorgio Frassati was unsure of his vocation—he had considered priesthood but ultimately felt called to be a layperson (and a third-order Dominican). He thought perhaps he was called to marriage, but he was living as a single, lay man when he died at the age of twenty-four. And yet he had reached the heights of holiness, in just twenty-four years, through an “ordinary” life. He didn’t wait for a clear understanding of where God would call him in the future to start doing God’s work in the present day. He served the poor and hungry, he cultivated a vibrant community of Catholic friends, he made his voice heard in the political sphere for causes he believed in, he climbed mountains, and he dedicated time for prayer. He is a good model for us all, to live life to the fullest at every moment, wherever we might find ourselves. What is my identity, my vocation, my mission? For what purpose was I created? My identity is in Christ alone, and I can rest in that knowledge even when I feel aimless or confused in my vocation and mission. First and foremost, I am His; everything else will flow forth from that. Bld. 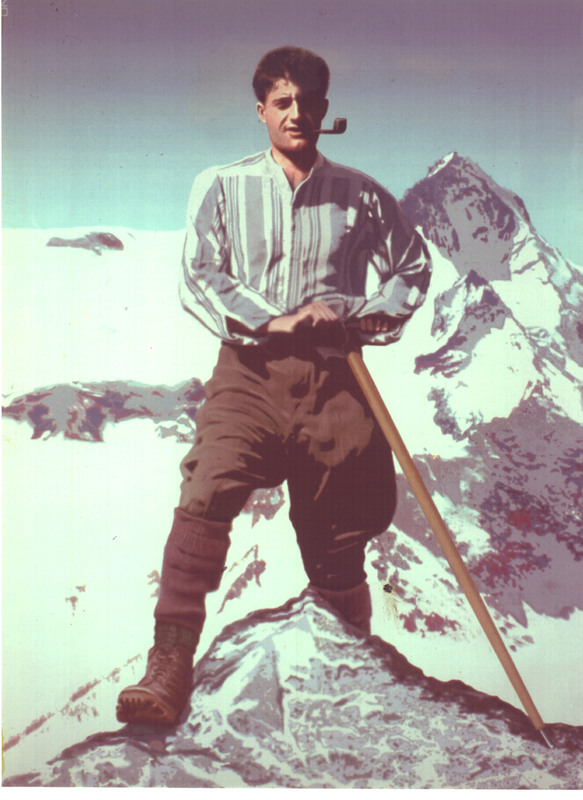 Pier Giorgio Frassati is awesome! I love how you point out that he reached tremendous holiness just by living an ordinary life as a single guy. I think many times, it’s easy to have the idea that once we figure out our “big vocation,” we finally start growing tremendously in holiness & are doing what God wants. But each and every day, God calls us to the vocation of love and service. And even though this vocation is simple in theory, it is so hard in practice! Yes, isn’t he great? Sometimes it’s so difficult to persevere through the mundane parts of life, but it’s through being faithful in these little, everyday things that we actually fulfill our purpose. Even the saints who led seemingly dramatic lives had to live moment by moment, and they couldn’t see the big picture while they were in the middle of it all! This was beautifully written, and really touched my heart. Thank you for sharing. Love this, Erin! Pier Giorgio is one of my very favorite heavenly friends and I definitely think he lived his life to the fullest despite the brevity of it. I think you identified well what allowed him to do this — intentionality and discernment. Whatever stage of life one is in, to live it well, takes these two things.